Earn Money Doing Freelance Writing with Postloop - Freebies, Deals, & Cash! 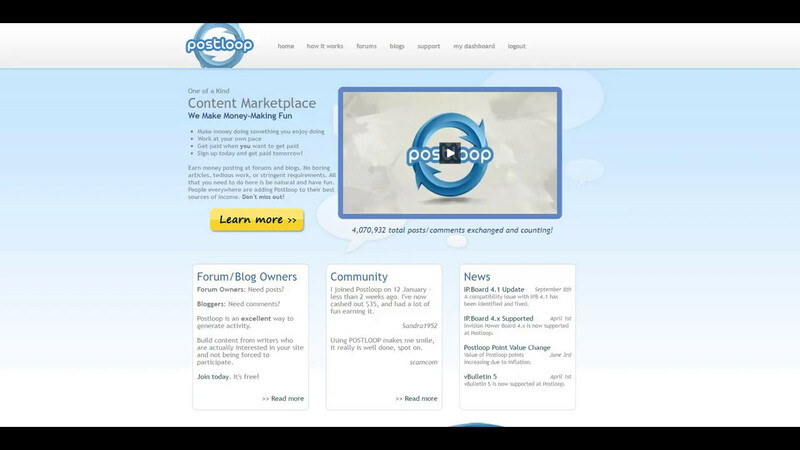 Postloop is a website that connects bloggers to those who are interested in creating content for the bloggers website, in exchange for earning money. In short, bloggers want you to leave valuable comments under their blog posts. In exchange for every comment you write on their website/blog post, you will earn Points. Redeem your points for cash. Upon registering, you will need to complete a “test”, which consists of writing 10 comments on various posts. Don’t let it scare you away, The test is a breeze, assuming you know proper punctuation, capitalization & Grammar. Postloop admins will check over your comments, and approve you as a writer. Then, you will be set, and ready to start. You will likely find that using a PC is much easier than mobile with Postloop, though it can be done on mobile. As mentioned, for every comment you write, you will earn points. The amount of points you will earn varies, based on the rate the blogger is willing to pay, along with your rating as a writer. You can redeem when you reach 100 points. Payments are made via Paypal, typically same or next day. Feel free to check out the “Earn Cash” Tab on our blog to see more ways you can earn some extra cash! ← Earn Up To A Full-Time Income From Home Using Mobile Apps & Websites!